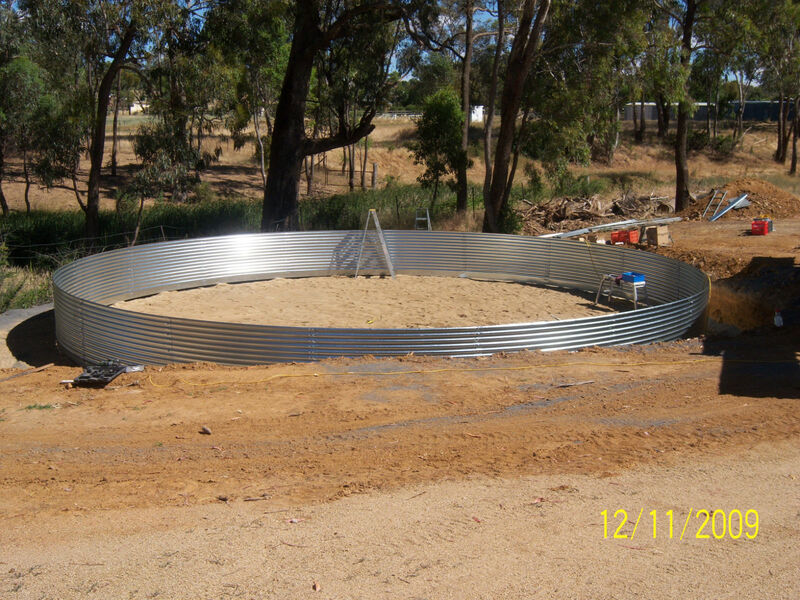 Good site preparation protects ensures you get the best value and life from your new tank. Site preparation reduces the risk of soil erosion undermining the tank, making it easy to install and protecting the liner. Add strength to your tank by following these simple steps for installing an Aqualine Tank. Place 150mm thick cover of blue metal crusher dust or clean sand over entire circumference, to be level and stable and ensuring site is 1m larger than the diameter of the tank, free from sticks, stones and debris. The sand or crusher dust should be compacted to provide a firm base. The site must be level the site so the tank sits in the correct position and the amount of water held in the tank is maximised. 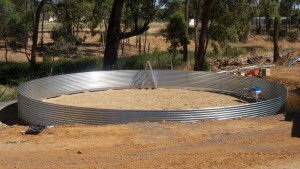 When the tank is installed aggregate must be placed around the circumference of the completed tank to avoid erosion. Remember, your site preparation is your tank’s foundation. Take the time to do it right – or get someone to do it for you. Poor preparatory work can cause site erosion and destabilize your tank. The corrugated walls of the Aqualine tank provide maximum strength and full wall height is achieved with only one horizontal joint. Each vertical joint has two rows of 12mm high tensile galvanised bolts for maximum strength. All tanks are 2.3m high at the wall unless ordered higher. All Aqualine tanks have fully welded, hot dipped galvanised trusses which are located above the water line. The galvanised roof sheets used in the construction and are high quality. YES YOU CAN WALK ON OUR TANK ROOFS!